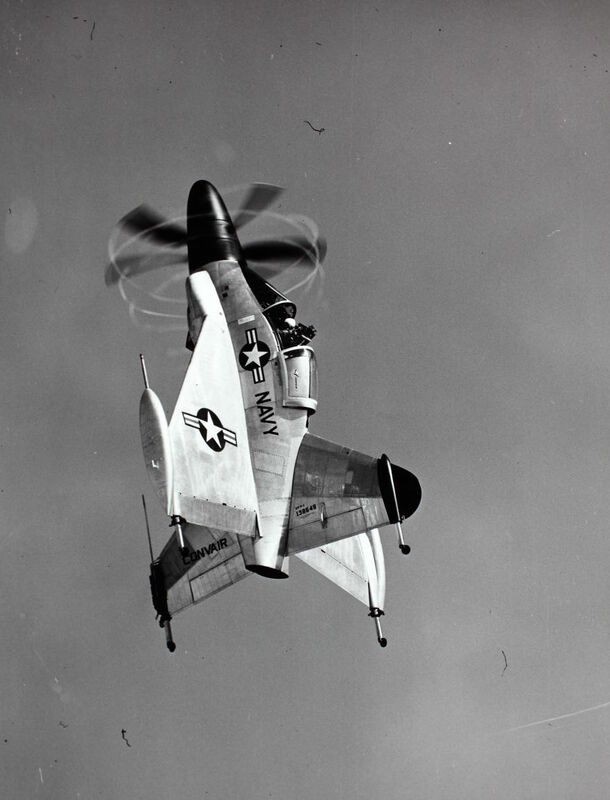 As with the Lockheed XFV-1, the Pogo used the Allison YT40-A-14 engine and Curtiss-Wright counter-rotating propellers, but was somewhat more compact and less conventional in appearance. The Pogo was 31 ft long with a 26 ft wide delta wing. A large vertical stabilizer above the wing was matched by an equally sized ventral fin below which could be jettisoned for an emergency horizontal landing. The seat was inclined 45° toward the instrument panel for vertical flight. 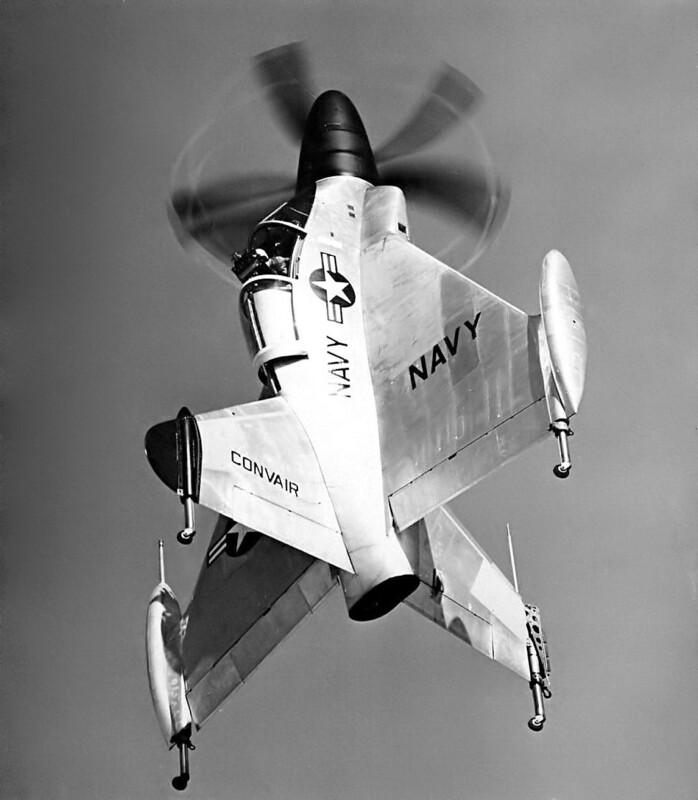 Control in hover for the XFY-1 were also the same as for conventional flight, but again this provided only limited control power. Almost 300 tethered tests hanging from the ceiling of Moffett Field's airship hangar were made in April 1954. 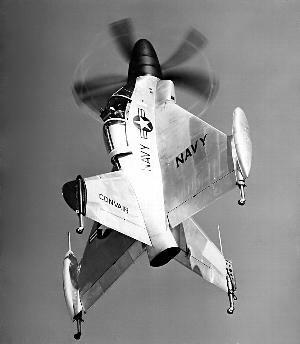 First free hover was on 1 August 1954. The first double transition to horizontal flight and back to a vertical landing was made on 2 November 1954. The Pogo was flown until November 1956. As with the Lockheed XFV-1, the engine and control systems were considered inadequate. 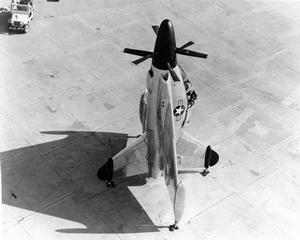 Resources related to the XFY-1 Pogo, provided by the Vertical Flight Society. Resources related to the XFY-1 Pogo, provided by public sources across the internet.